Daydreamers: The BratPack- Christmas Around the World. 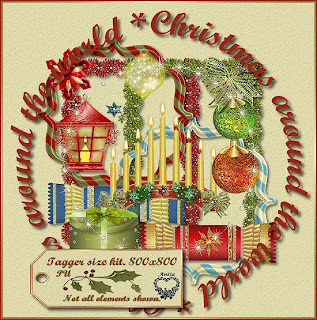 Full steam ahead for a wonderful Christmas Blog Train, coming to you from around the globe. My contribution is reresentative of an English Christmas. 8 paper and 60 elements (not all shown) go to makeup this kit. I sincerely hope there are no problems with 4Shared. Please have a wonderful time at all the other stops. Thank you for your part of this train. It looks so very pretty. Thank you for sharing your beautiful Christmas kit from England.